Traditional Korean martial art — One of the masters of Subakdo, traditional Korean martial art, demonstrates in front of people. The name of Subakdo first appeared in history book during Koryo Dynast. The name of Subakdo has later been changed to Taekyon in Joseon Dynast. Taekwondo has been developing with the 5,000 year long history of Korea, being called by several names in the past. Back in the B.C. era, Taekwondo began as a defense martial art was called, "Subak" or "Taekkyon" and it was basically an art of combat under Packje (18 B.C.). Later under Koguryo 37 (B.C.) and Shilla 57 (B.C.) dynasties a collective youth's education system called "Seonbae" & "Hwarang" developed which also included Martial Art and its extensive training programs. These were the customs of mutual exchange amongst these three prominent dynasties. So, the Martial Art techniques were also exchanged for betterment of the combat training. In these modern times of Korea, which covered the Joseon's Yi-Dynasty (1392-1910), the imperial Korea and the Japanese Colonial Rule until 1945, Taekwondo was rather called "Subakhue" than "Taekkyon" and it suffered an eventual loss of official support from the central government as the weapons were modernized for national defense although the Subakhue was still popular in the early days of Chosun Dynasty and enthusiasts appreciated it. Even under the Japanese colonial rule, some famous Korean writers, such as Mr. Shi Chae Ho and Mr. Choi Nam Sun, mentioned Taekwondo saying "present Subakhue prevailing came from the Sonbae in the Koguryo Dynasty and Subakhue is like today's Taekkyon," which was originally practiced as martial art, but is now played mostly by the children as games. However, the Japanese colonial government totally prohibited all folkloric games including Taekkyon. The masters of Taekkyon were also under constant threat of imprisonment, which resulted in an eventual fade of Taekkyon as popular games under the colonial rule. The Martial Art of Taekkyon (Taekwondo) had been secretly handed down only by the Masters of the Art until the liberation of the Country in 1945. Master Song Duk Ki, the disciple of Master Im Ho, demonstrated his excellent skills of Taekkyon, by jumping over the walls and running through the dense forest like a tiger. 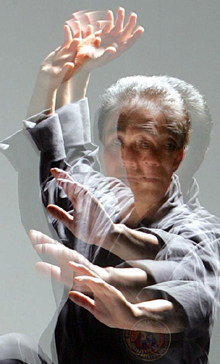 At that time 14 terms of techniques were used, representing, 5-kicking patterns, 4-hand techniques, pushing down at the heel 3-patterns, turning over kick 1-pattern and 1-technique of downing the whole body. Also noteworthy is the use of the term "Poom" which signifies a face-to-face stance preparing for a fight. Along with the liberation of Korean nation from the Japanese imperialism a new concept and interest about national culture and tradition had begun to arise. With the appearance of Taekkyon experts, especially, Master Song Duck Ki eventually displayed Taekwondo (Taekkyon) techniques in front of the President Hon'ble Seung Man Lee on his birthday party, which proved the distinct difference between Karate and Taekwondo. These Kwans were either evacuated or were in the army rules, which caused difficulty in spreading and teaching Taekwondo amongst the common people. It was in the 50's when the Taekwondo overcame the world chaos and reformed the organization. Taekwondo society put together their efforts and established the "Korea Kongsoodo Association." However, with the different views of some senior master's misunderstandings between each "Kwan" coup-up so, the Korea Kongsoodo Association could not last long. After being affected by the military coup, the "Korea Taesoodo Association" was formed with the senior group of Korea Kongsoodo Association, the group of the Korea Taesoodo Association was promoting the sports side of Taekwondo, but the senior Masters were dissatisfied, saying this will destroy its value as martial arts, but the management committee of the Korea Taesoodo Association thought in a different way. They claimed in order to expand the art of Taekwondo in public and seek public's recognition. The Korea Taesoodo Association needed to join the Korea Sports Council and bring out the level of sports that Taekwondo has. November 3, 1962, the first competition rules were adopted under Korea Taesoodo Association. The competition area was 8 x 8 meter square. The referees were formed with 2-Juries with 6th Dan Black belt and above, 1-center Referee and 4-cornered Judges are not less than 4th Dan Black belt. The competition was in group not an individual, each team consisting of 6 players and the matches were set according to order not by weight division. However in the process of developing Taekwondo competitions, several major problems occurred. Competitors/players kept getting injured and knocked out, because at that time the idea of protective gear was not in fashion. Many masters including the coaches raised the questions and approached Master Woon Kyu Uhm about the same. It was realized later that the chances of serious injuries should be reduced in order to ensure rapid promotion of the art and to raise the standard of the competition. Thus a demand to develop "HOGU" (chest guard) was raised. On 5th Aug. 1965 the Korea Taesoodo Association was transformed into Korea Taekwondo Association, in order to provide solid base for a well developed Taekwondo Martial Art, worth to be adopted in the world over. On 30th Nov. 1972 Kukkiwon (The World Taekwondo Headquarter) was established as central Dojang in Korea, which has educated and cultivated national and international master instructors, operating Dan screening test, issuing Dan certificate, Poomsae development, various research operating, sending Taekwondo demonstration team abroad, conducting World Taekwondo Hanmadang and various Taekwondo competition. Kukkiwon was the key role in establishing the World Taekwondo Federation, WTF in 1973. On 25~27th May 1973, the 1st World Taekwondo Championship was held in Kukkiwon with 161 officials and participants from 17 countries. Korea stood First, U.S.A. Second, followed by China, Taipei and Mexico Third respectively. On 28th May 1973, the World Taekwondo Federation (WTF) was founded for the global activities. On 18-20th Oct. 1974 the 1st Asian Taekwondo Championship was held in Kukkiwon with 93 officials and participants from 10 countries. On 5th Oct. 1975, the World Taekwondo Federation got affiliated to the General Association of International Sports Federation, GAISF. On 9th Apr. 1976, the Council International du Sports Militaire, C.I.S.M. adopted Taekwondo as one of its approved discipline. On 17th July 1980, the International Olympic Committee, IOC in its 83rd General Body meeting recognized the World Taekwondo Federation WTF & Taekwondo as a sport for Olympic Ganes. Four years later on 28th September 1984, the Olympic Council of Asia, OCA recognized the Asian Taekwondo Union ATU & adopted Taekwondo as an official sport for Asiad. On 2nd Nov. 1983, "Kukkiwon Taekwondo Academy" was founded and served as the Academy for World Taekwondo Instructor. Up to now more than 20 thousand instructors completed the International Master Instructor course. 7500 International Master Instructor completed the course for leader of sports. On 8th to 10th May 1986, The Federation International du Sports Universitaire (FISU) adopted Taekwondo as an event for World University Taekwondo Championships at the FISU Executive Committee meeting in Zagreb, Croatia. On 17th to 20th Sept. 1988 Taekwondo was included in the 1988 Olympic Games as a demonstration sports competition. The second Taekwondo demonstration was held in the 1992 Barcelona Olympics from 30th July to 2nd August 1992. On 4th Sept. 1994, was the biggest day for Taekwondo lovers all over the World as the International Olympic Committee, IOC in its 103rd session adopted Taekwondo as a regular event for the Olympic Games, Sydney 2000. On 20th to 25th July 1998, the 1st International Taekwondo Instructor course for foreigner was conducted by the Kukkiwon Taekwondo Academy at Kukkiwon. 93 instructors from 93 Countries participated in the said course. On 30th Sept, 2000. Taekwondo enter as a regular sport (official) event in the 27th Olympic Games (Sydney, Australia) and on 26th to 29th Aug. 2004, the 28th Olympic Games (Athens, Greece) Taekwondo remained as an official sports in respective four male and female weight classes. 64 male and 60 female from 60 Nations had participated. 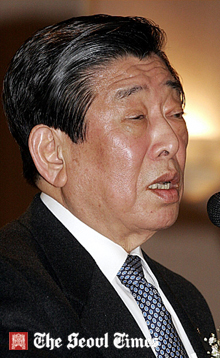 12th April 2005 Dr. Choue Chung Won, re-elected President of the World Taekwondo Federation W.T.F. and Mr. Jin Suk Yang as Secretary General of the W.T.F. respectively. On 5th ~ 7th Feb. 2006. The Executive Board of the International Olympic Committee (I.O.C.) decided at its meeting in Turin, Italy to expand the number of Taekwondoin from 124 players to 128 players added ( 2-Males and 2-Female ) for the Beijing Olympic Games, 2008. AT PRESENT 188 COUNTRIES ARE AFFILIATED UNDER THE WORLD TAEKWONDO FEDERATION, WTF. Today, about 75 million people from 188 nations under the World Taekwondo Federation practice Taekwondo, while around 3,000 Koreans and 20,000 Foreigners qualified International Master Instructor teaching Taekwondo around the world. Technical Advisor: Taekwondo Hall of Fame, U.S.A.